Air Friction Sales flyer 4 pages 3 x 6 inches. Lit-0887. Price $25. 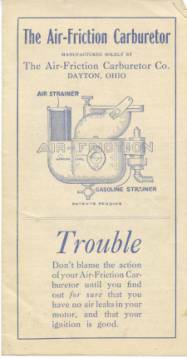 Air Friction Instructions Card double sided 3 x 6 inches. Lit-0888. Price $25. Model 2700VV and 7200VV carburetors. 1979 Autolite certified training program manual for 8 ½ X 11 inches by 51 pages. Cutaway diagrams and text explanation of all circuits, also adjustment procedures. Excellent, original manual. Stock number Lit-0073. Price $30.00. 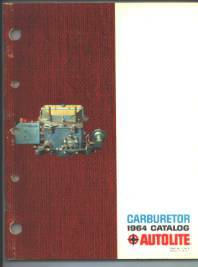 Carburetor Catalog printed in 1964. 8 ½ x 11 by 68 pages. Coverage (Ford Products) 1932 to 1964. 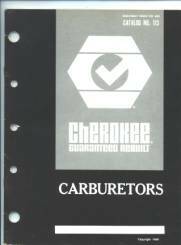 Application listings for carburetors, kits, fuel valves, economizers, power valves, spark control valves, accelerator pumps, jets, dashpots and choke covers. HOLLEY TO AUTOLITE INTERCHANGE. 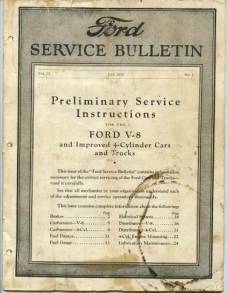 Section on decoding Ford serial numbers. Excellent used condition. Stock number Lit-0215. Price $25.00. Autolite Service Manual printed in 1964. 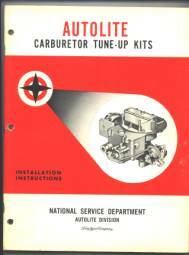 Manual is titled “Carburetor Tune-Up Kits”, but contents are the service sheets, which would be placed in the tune-up kits. 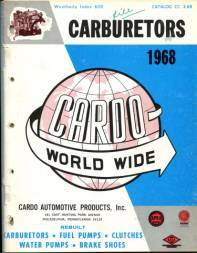 Coverage 1949 – 1964 for carburetors used by Ford Motor (Autolite, Carter, Holley). 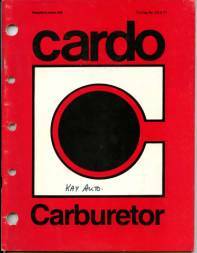 Excellent resource for rebuilding carburetors in this period. Disassembly, inspection, reassembly, adjustments, exploded views, etc. 8 ½ x 11 inches by 96 pages. Excellent condition. Stock number Lit-0216. Price $75.00. 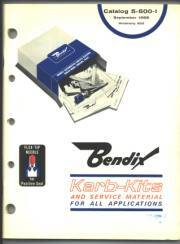 Bendix carburetor kit catalogue with coverage from 1949 to 1966. 8 ½ x 11 inches by 103 pages. Applications listing; BUYERS GUIDE; NUMERICAL LISTING. Excellent used condition. Stock number Lit-0229. Price $15.00. 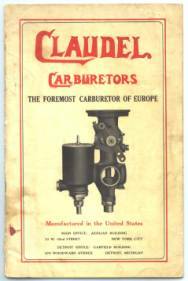 1919 Claudel Carburetors – The Foremost Carburetor of Europe Now Manufactured in the United States copyright 1919 6 x 9 1/4 inches by 33 pages. 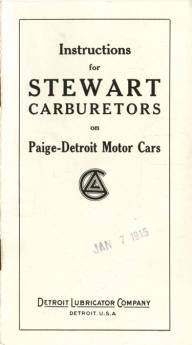 History of the Claudel, Claudel theory, cross-sectional drawings, adjustment, altitude correction, installation; records of vehicles using Claudel from 1909 through 1913; listings of French and foreign automobile manufacturers using the Claudel carburetor. Very good used condition. Stock number Lit-0247. Price $450.00. 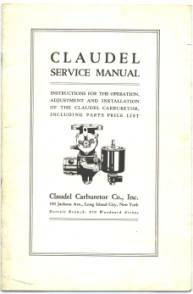 1920 Claudel Service Manual. 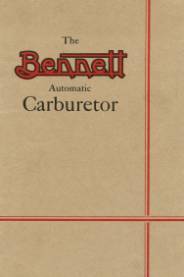 Instructions for the operation, adjustment, and installation of the Claudel carburetor, including parts price list. 6 x 9 inches by 20 pages. Pictures, cut-a-ways, description, adjustments, installation with sizing recommendations, individual parts pictures, individual parts listing, dimensions. Excellent used condition. Stock number Lit-0249. Price $550.00. Columbia - Sales & Service Brochure. 25 pages 4 x 9 inches. Sales, adjustment, cut-a-ways, parts listings. Excellent condition. Lit-0889. Price $100. Ensign Installation and Service Manual number 106-A, 8 ½ x 11 by ¼ inch thick, approximate print date 1950. 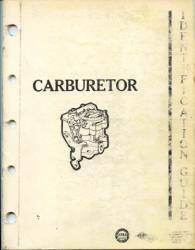 Installation guide for all current production Ensign carburetors; to include models, settings, parts listings, illustrations, etc. Excellent original condition, Lit-0390. Price $75.00. 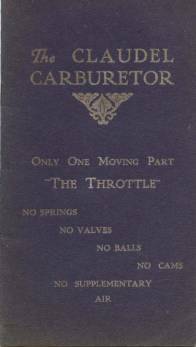 1912 Excelsior Carburetor booklet 3 ¼ x 5 ½ inches by 23 pages. Description, picture, cut-a-way views, adjustment, installation. Excellent condition. Stock number Lit-0253. Price $40.00. 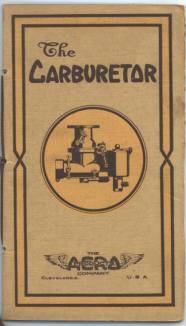 1957 Hygrade Carburetor Merchandiser Catalog 8 ½ x 11 inches by 53 pages, with coverage from early 1930’s to 1957.Carburetor rebuilding kit, gasket set, fuel valves, accelerator pumps,more. BUYERS GUIDES FOR REPAIR KITS, GASKET SETS, FUEL VALVES, ACCELERATOR PUMPS, DASHPOTS. Used original book, some smudging, some tears, very useable. Stock number Lit-0063. Price $15.00. 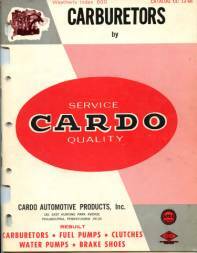 1960 Hygrade Carburetor Merchandiser Catalog 8 ½ x 11 inches by 64 pages, with coverage from early 1930’s to 1960.Carburetor rebuilding kit, gasket set, fuel valves, accelerator pumps,more. 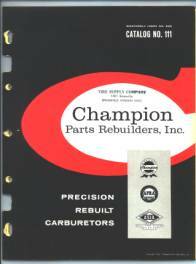 BUYERS GUIDES FOR REPAIR KITS, GASKET SETS, FUEL VALVES, ACCELERATOR PUMPS. Used original book. Stock number Lit-0064. Price $15.00. 1975 Hygrade Catalog 8 ½ x 11 inches by 104 pages, with coverage from the mid-1950’s to 1975. 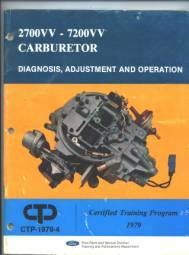 Carburetor repair kits, choke pull-offs, choke thermostats, idle stop solenoids with buyers guide and numerical interchange. Good original book. Stock number Lit-0135. Price $10.00. 1976 Hygrade Catalog 8 ½ x 11 inches by 104 pages, with coverage from the mid-1950’s to 1976. Carburetor repair kits, choke pull-offs, choke thermostats, idle stop solenoids with buyers guide and numerical interchange. Good original book. Stock number Lit-0065. Price $10.00. 1979 Hygrade Catalog 8 ½ x 11 inches by 152 pages, with coverage from the mid-1950’s to 1979. 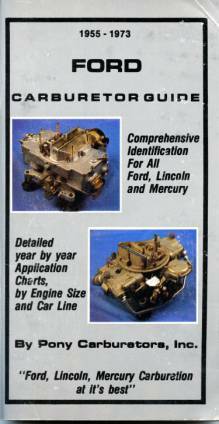 Carburetor repair kits, choke pull-offs, choke thermostats, with buyers guide and numerical interchange. Good original book. Stock number Lit-0062. Price $10.00. We are selling a large number of ORIGINAL Kingston prints. 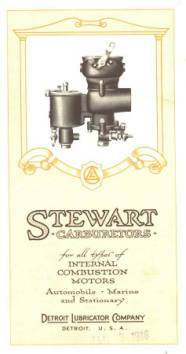 These were printed by Kingston and are drawings of most of the various Kingston carburetors used on tractors. Condition and price vary. Kingston - Sales folder on the 5-ball carburetor. Covers construction, features, and had a cut-a-way picture of the carburetor and parts. 8 pages, 4 x 9 inches. Excellent condition. Lit_0884. Price $85. Kingston Model Y (4 ball) 20 page brochure 3 1/2 x 7 inches. Different models including Ford pictured, one cut-a-way, parts listing, description, adjustments. Excellent condition. Lit_0946. Price $150. 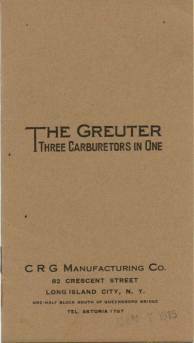 Master Carburetor Sales Brochure 8 pages 6 x 9 inches. Some water damage. Lit-0893. Price $35. 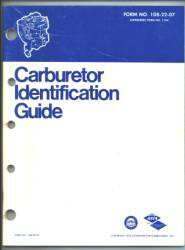 Mac’s Carburetors 1972 8 ½ x 11 by 96 pages. 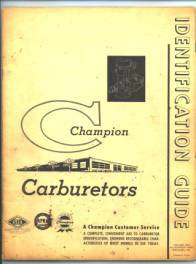 Coverage of Mac’s reconditioned carburetors from the 1950’s through 1971. Good used condition L:it-0326. Price $10.00. Solex Selection and Tuning of the Carburetor, 8 ½ x 11 by 46 pages; models 28VFIS, 28PCI, 32PICB, 40ICB, 32PAITA, 32PAATI, 40PII-4, 32HR, 44HR, 44PHH. Excellent original condition, Lit-0392. Price $50.00. 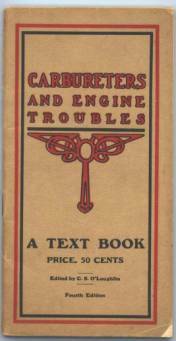 S.U Workshop manual for Carburetters and electric fuel pumps (NO CARBURETTER DATA!) 8 ½ x 11 by 3/8 inch. Everything you ever wanted to know about S.U. electric fuel pumps. Latest date I found was 1964. Lit-0414. Price $200.00. 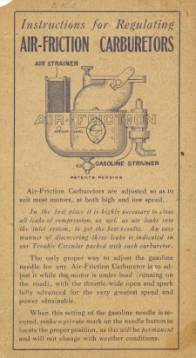 Circa 1915 Sunderman Carburetor sales flyer 3 ½ x 6 ¼ x 4 pages. Description, installation, adjustment, prices. Excellent used condition. Stock number Lit-0256. SOLD. Swan Sales Flyer. Description of the Swan carburetor with a picture of Model DC-3. 2 pages 121/2 x 12 inches. Lit-0885. Price $60. U & J Sales Flyer 2 pages 6 x 16 inches. Lit-0886. Price $60. SR – Winfield sales brochure from1933 covering the SR model Winfield carburetor. 3 ½ x 6 ¼ inches folds out to double sided sheet 7 x 12 ½ inches. Cutaway of the Winfield SR, description, and listings of drivers who win with Winfield. Stock number Lit-0193. Price $25.00. SR - General Instructions for Installing and Adjusting, Double sided poster 9 x 12 inches. Lit-0876. Price $50.